Turkey is a major exporter in dried apricots as well. Apricots of Malatya city are famous. There are two types of apricots : Sulphured and sun-dried. Sulphured apricots are in orange color due to sulphuredioxide used in drying process. 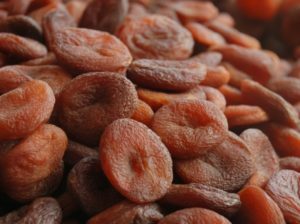 Sun dried apricots are in brown color and no sulphuredioxide is used in drying. We can pack between 200 g and 12,5 kg bulk packages.